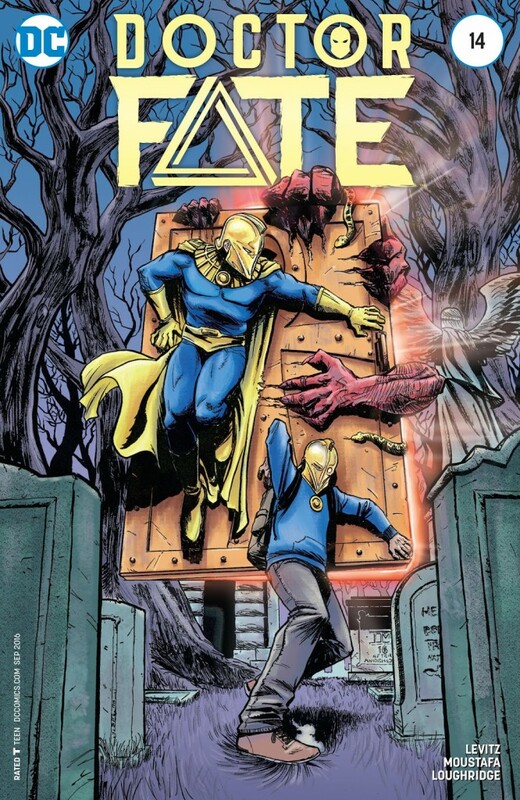 Kent Conrad, the original Doctor Fate, has come to New York to try to assist the newest bearer of the power, Khalid Nassour, in learning how to use and control it. But when their lessons lead to an Efreet emerging through a portal and lighting New York afire, Khalid and Kent must defeat it and take it back to where it came from. But when the smoke clears, will one of them be stuck on the wrong side?